Growing Garlic is not difficult to grow. 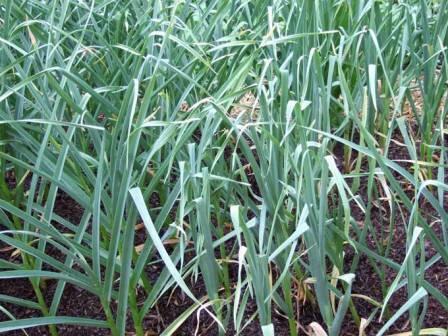 Garlic prefers full sun and well drained soil. It's very tolerant to soil types, but it prefers soils with high organic content. The flowing text is taken from “True Seeds in Garlic” by Rina Kamenetsky. Scientists believe that the wild relatives of garlic were widely dispersed in Central Asia about 10,000 years ago. Semi-nomadic tribes cultivated this plant as food condiment and medicinal plants. From Central Asia, garlic was introduced into the Mediterranean basin, India and China. There is evidence that garlic has been in use in China and India for more than 5,000 years and in Egypt since before 2,000 BCE. 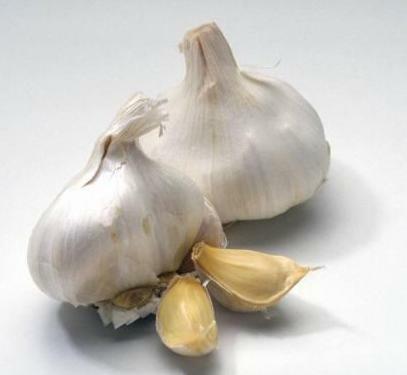 European traders facilitated its further distribution, and, from the Mediterranean region, garlic was introduced into sub-Saharan Africa and the Americas by explorers and colonists. Today garlic is known only as a cultivated plant, and its wild relatives are not to be found. sterile. They don't produce seeds and are propagated only vegetatively. In modern garlic varieties, the presence of vegetative topsets (bulblets), which develop in garlic inflorescence, is one of the major causes of the inability of this plant to develop normal flowers and true seeds. When growing garlic, there are two types of Garlic - Hardneck and Softneck. The hardnecks do well in cooler climates, but do not store as long as softneck types. Diseases: Bacterial Soft Rots, Basal Rot, Black Mold, Blue Mold Rot, Botrytis Leafspot, Botrytis Neck and Bulb Rot, Downy Mildew, Garlic Mosaic, Iris Yellow Spot, Onion Yellow Dwarf, Pink Root, Purple Blotch and Stemphylium Leaf Blight, Rust, Sour Skin, White Rot.